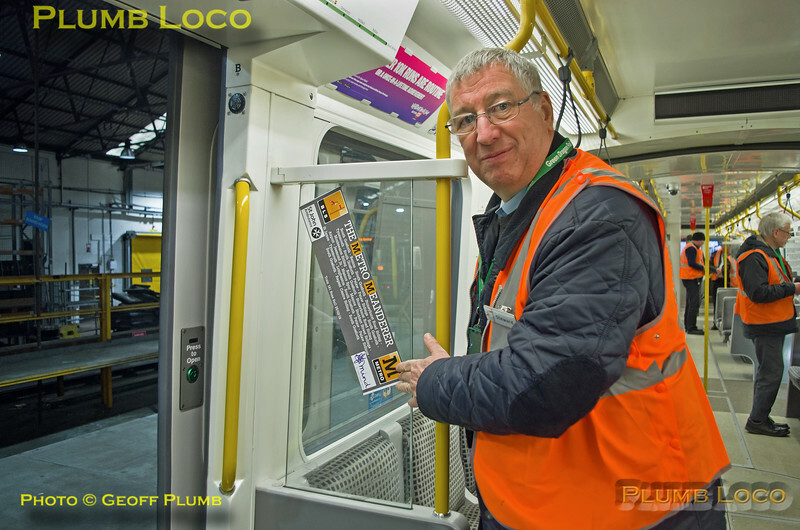 BLS Stewards help to prep the BLS "Metro Meanderer" tour train prior to its departure from Gosforth Depot to pick up passengers at South Gosforth station. Window decals describing the route are normally fixed to windows but this was not an option this time, so they were attached to interior surfaces instead. 07:55¾, Sunday 25th February 2018. Digital Image No. IGMP34045.